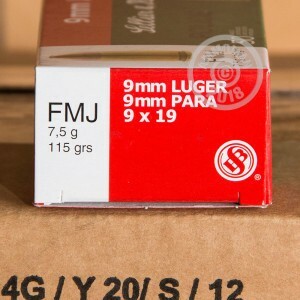 This 9mm Luger ammunition from Sellier & Bellot is a "hot" load comparable to 9mm NATO or 9mm +P ammo. As such, it makes a great target round for those who carry higher pressure self-defense ammo. Each cartridge in this box of 50 fires a light 115 grain full metal jacket bullet at a high muzzle velocity of 1,305 feet per second. 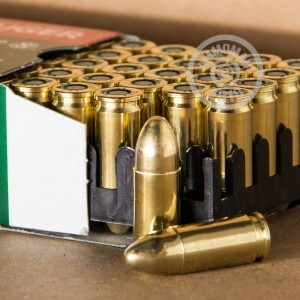 This ammo is also sealed at both ends of the case for better moisture resistance. 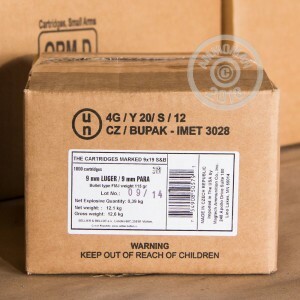 Like other S&B ammo, it uses non-corrosive Boxer primers and brass cases.